Everyone who has ever been in sales or customer service knows the value of being able to succinctly state why they believe their product or service is worth another’s attention. When I trained people to perform either job, one element of the course was the development of “elevator speeches,” short 20-40 second statements conveying value and meaning. Students hated doing that! It’s hard. You have to think. You have to dig deep and ask the question, “Do I really believe what I am about to say.” Oh, sure, parroting something is an option. In so doing one often sounds insincere and rote. To be convincing, both to yourself and others, you have to mean what you say. 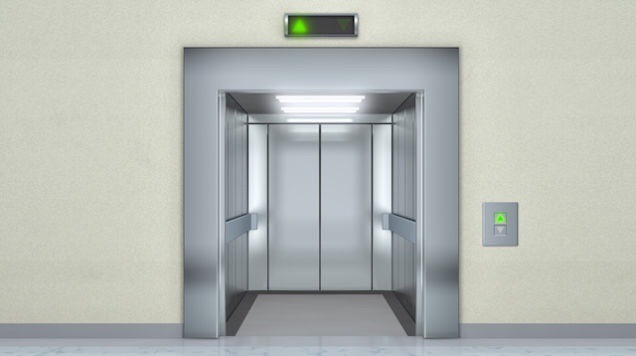 Recently, a friend of mine on the staff of the parish church I attend, related that the Rector had challenged the staff to come up with an elevator speech about why they are a Christian. I smiled because I knew what my friend was going to say next, “It’s hard.” It’s hard, not because of lack of faith, but because one has to put some real thought into it. You are on the spot and it’s like describing air. The task brings to mind wonderful images from C.S. Lewis’ “The Last Battle.” Narnia is disappearing from existence and its inhabitants stream through a tiny doorway allowing them to escape the destruction. As they pass through the doorway one-at-a-time, they come face-to-face with Aslan, the Great Lion and Christ-figure. Silently, they stand before the great judge and stare into his eyes. One question and one question only is posed to their heart, “Do you love me?” If their heart answers “Yes” they go to their left, Aslan’s right and go deeper and farther into his world. If the answer is “No” they go to their right, his left and simply fade away. You have to be able to complete the statement on a 10 floor elevator ride with no intermediate stops…say 50 seconds. When the doors open, it’s done. No words that require explanation to someone who doesn’t speak churchy, religious lingo such as “saved,” “redeemed,” “heaven,” “hell,” etc. Now, I don’t know about you, but that does not exactly whip up any intellectual, emotional, or spiritual interest for me at all. It would make me pray that the elevator would stop quickly and I could exit. Sadly, it is something I have heard more than once in my life. Keeping this in mind, crafting a statement is difficult because you have to dig deep and you should have skin in the game. It must well up from your own heart as you look into the eyes of the Great Golden Lion. In the days that have elapsed since my friend related the Rector’s challenge, I have struggled to formulate my own elevator Quid ego Christi discipulus. Why I am a Christian? A little better. Forty-five seconds. I felt something writing those words. A bit more real for sure but still not all it could be. I must keep trying. What do I love about the deity that I worship? Why did I fall in love with my spouse? Why do I support the political candidate I do? Why do I do the work I do? Why do I go to the church I attend? Why do I like/dislike (a racial group, a religion, a socio-economic group, a gender, a sexual orientation, a political party, etc.)? May your struggle to answer these questions be a fruitful one. As Lent begins, I am looking for new ways to begin experiencing faith. The primary channel I’ve chosen for this year is combing the Internet for stories of contemporary Saints and Wonderworkers who show that the miraculous still occurs. It may not be those biblical or mythological miracles where the the Sun is stopped in it circling of the Earth (sic) in Jerico or the raising of Lazurus after three days, but miraculous events still occur. If miracles do still occur as the result of devoted human effort and thought, then what can I do to participate in them? As a first step, I share with you this blog post entitled: Can You Forget How to Believe in God? Here Paul Wallace, Physics Professor and Minister, explores how we wire our brains with beliefs about God just as we wire our brains to perform a task like riding a bicycle. He presents the case that we can choose to rewire our concepts, as well, resulting in profound realizations and abilities. Whether or not your tradition observes Lent, may this season provide you the venue to challenge your concept of God, your relationship to God, and the demands that relationship makes on your life. As People Of the One God we face choices: If you are a Christian, remember your Baptism and the vows made by you or for you. If you are Jewish, contemplate the nature of God’s demands upon a People uniquely appointed as His own. If you are Muslim, contemplate Allah’s revelations of Peace through the Prophet and your daily role to live in that Peace. If you are of another tradition or a non-theist, Lent can still offer you a period to slow down, reflect, and marvel at all that surrounds us and our role within it. May this Season open new doors for us all.